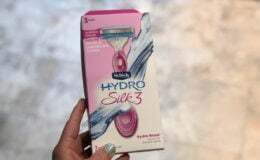 Better Than Free Maybelline Great Lash Mascara and Expertwear Eye Shadow at CVS! Who’s ready for some FREE makeup?! 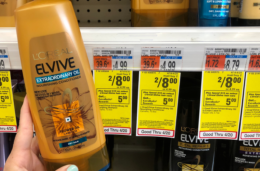 Then head over to CVS this week and take advantage of this beautiful deal! Now through 1/19, you will receive $5 Extra Care Bucks when you buy any 2 Maybelline cosmetics (limit 1). 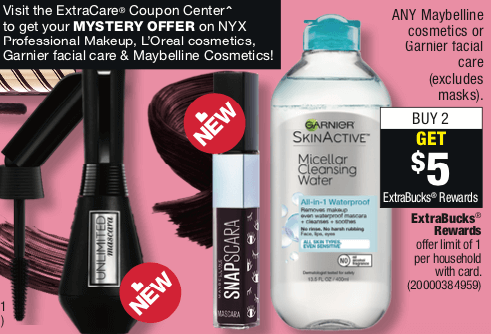 Plus, you will receive a $3.00 off select Cosmetics or Facial Care CVS Instant Coupon from the ExtraCare Coupon Center (all shoppers, limit 1)…which includes all Maybelline cosmetics! See the deal idea we’ve put together for you below! 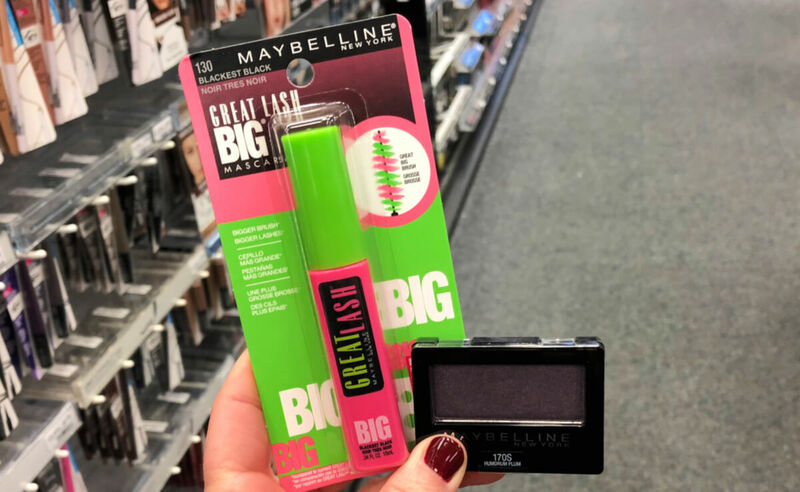 Maybelline Great Lash Mascara is priced at $5.79 and Expertwear Eye Shadow singles are priced at $4.19 ea. in my local store. You can score these for FREE + $1.02 money maker after stacked offers. Remember to check your CVS app for special offers and discounts and scan your Extra Care Card at the Coupon Center in store…..you never know what surprises you might find there! 45% Off Cuisinart Cast Iron Cookware (Today Only)!